The general outline of Lloyd-Jones’s life is preserved, though the private side is emphasized. Those who aren’t familiar with his life will not be lost – they will be able to follow his upbringing, schooling and medical career, the first church in Aberavon, and his transition to Westminster in London. The major “events” are covered – the Puritan Conferences, his involvement with IFES, his preaching on the Holy Spirit and “charismaticism” (as found in The Baptism and Gifts of the Spirit), and the fallout with John Stott and J.I. Packer when Lloyd-Jones made a call to “come out” of evangelically compromised denominations (particularly The Church of England). In all these subjects Catherwood is highly sympathetic to his grandfather, as is to be expected. The last chapter is entitled “Grandfather” and is the longest chapter in the book. It really is a testament to the man. So many preachers have a vibrant pulpit, or an active ministry, but sadly neglect or hurt those closest to them. Martyn Lloyd-Jones was not this type of man. The evident love and admiration that his grandson has for him, and the many stories and examples of how he lived that out in his family, are inspiring and moving. 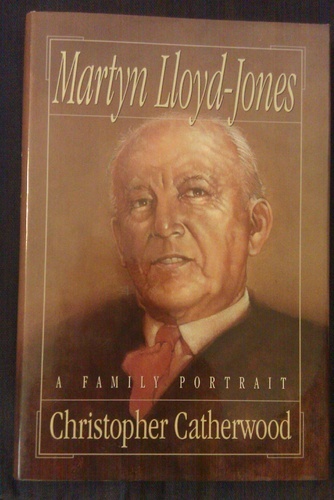 I recommend this book because I recommend Martyn Lloyd-Jones, as a preacher, an expounder of the Bible, and as an example for us to follow. Also recommended is 5 Evangelical Leaders also by Christopher Catherwood, which gives a broader perspective of Lloyd-Jones, Packer, and Stott, as well as Francis Schaeffer and Billy Graham. This is intended to be a brief introduction to the Holy Spirit, expounding on The Gospel Coalition’s doctrinal statment. 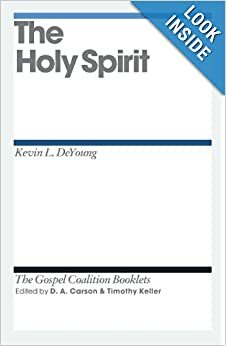 DeYoung starts with “Who is the Holy Spirit,” and discusses that he is a Person, that he is God, and distinct from the Father and the Son. The Work of the Holy Spirit takes up the rest of the booklet: convicting, converting, applying salvation, glorifying Christ, sanctifying us, equipping us, and being the seal of the promise of our future inheritance. I certainly hope for more of this! The book is loaded throughout with biblical references to look up if you want. There are glimpses of DeYoung’s style and humor, but it is largely subdued and he is focused on his topic. I didn’t laugh out loud, like I have in The Hole in Our Holiness, or Crazy Busy, but that wasn’t the point. This is a good, basic, brief introduction. To go in depth from here, I heartily recommend J.I. 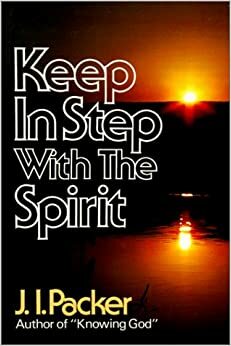 Packer’s Keep in Step With the Spirit, and Martyn Lloyd-Jones’s The Baptism and Gifts of the Spirit. I haven’t listened to this audio cd, so I can’t comment on the audio quality, whoever it was that read the sermon, or anything like that. My review is of the sermon itself, which can be found in 12 Sermons on the Holy Spirit. All 12 sermons are excellent, but this particular sermon is the cream of that choice crop. It can also be found as an individual booklet from Chapel Library. Spurgeon’s goal in this sermon is to show us the vital necessity of being filled with the Holy Spirit. You can be saved – have had a drink – without being filled with rivers of living waters flowing out from your life. He shows us the excellency of the gift of the Spirit, and then lays out how to seek more of the Spirit in our lives and our churches. I liked this so much, I ordered 30 copies of it in booklet form from Chapel Library to give to those in my church. I highly recommend this sermon, in any form you can find it. I love Charles Spurgeon. Possibly more than any other man, he has shaped my thinking and preaching and understanding of the Bible and the God who wrote it. He was called “The Prince of Preachers” and the title is apt. His sermons bring Bible truth home to the heart, and enlarge for the mind the glories of God. He relates to the inner experience of the soul in its many varieties and subtleties. How often have I discovered some shining nugget of truth from a text, only to read Spurgeon and see that he has already found that nugget and put it on full display. His sermons are a delight to read, and I try to read him as much as I can, whatever subject is on my mind. The “12 sermons on…” series is a good topical collection of his sermons, and this particular collection on the Holy Spirit is no exception. Spurgeon believed that the Holy Spirit was absolutely crucial to the life of the believer. His sermon “The Indwelling and Outflowing of the Holy Spirit” expresses this most forcefully and masterfully. He speaks to the ups and downs of a believer’s life as it ebbs and flows in our direct experience of the Spirit of God. You read him, and you sigh as you realize, “He knows what it’s like!” He is surprisingly relatable, especially when you think that he preached 150 years ago. He provokes us to seek the Spirit without reserve – “We have grown to be so frozenly proper that we never interrupt a service in any way, because, to tell the truth, we are not so particularly glad, we are not so specially full of praise that we want to do anything of the sort. Alas, we have lost very much of the Spirit of God, and much of the joy and gladness which attend His presence, and so we have settled into a decorous apathy! God send us a season of glorious disorder.” (102, from “The Pentecostal Wind and Fire”). He exhorts us to be led by the Spirit: “I wish Christian people oftener inquired of the Holy Ghost as to guidance in their daily life. Know ye not that the Spirit of God dwelleth in you? You need not always be running to this friend and to that to get direction: wait upon the Lord in silence, sit still in quiet before the oracle of God. Use the judgment God has given you; but when that suffices not, resort to Him whom Mr. Bunyan calls ‘the Lord High Secretary,’ who lives within, who is infinitely wise, and who can guide you by making you to ‘ hear a voice behind you saying, This is the way, walk ye in it. '” (140, from “The Covenant Promise of the Sprit”). A few months ago I was preparing to preach, and had a particularly clever turn of phrase in mind. Then I read this: “May we never have this thought, – ‘I will put that bit in; it will tell well. The friends will feel that oratory is not quite extinct, that Demosthenes lives again in this village.’ No, no. I should say, brother, though it is a very delightful piece, strike that out ruthlessly; because if you have had a thought of that kind about it, you had better not put yourself in the way of temptation by using it… It may be very admirable, and further, it may be a very right thing, to give them that precious piece; but if you have that thought about it, strike it out. Strike it out ruthlessly. Say, ‘No, no, no! If it is not distinctly my aim to glorify Christ, I am not in accord with the aim of the Holy Ghost, and I cannot expect His help. We shall not be pulling the same way, and therefore I will have nothing of which I cannot say that I am saying it simply, sincerely, and only that I may glorify Christ.” (150, from “Honey in the Mouth”). 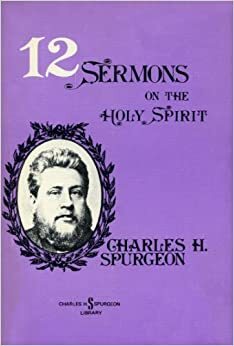 I cannot recommend Spurgeon in general, and these sermons in particular, highly enough. They will thrill your soul with the truth regarding the Spirit of God. Some of these sermons have been published individually in booklet form by Chapel Library, for easier distribution, though I recommend this book as well. This is Packer’s purpose and theme throughout the course of this book, and this is indeed the effect that this book has had in my own life. Written almost 30 years ago, it carries the same weight today, and his analysis is still spot on. At nearly 300 pages, this book is thorough. Packer seeks to lay out for us a Biblical understanding of the Holy Spirit, without leaving anything out. He wants us to view the Spirit and emphasize the Spirit the way the Bible itself does. He does so clearly and powerfully. Along the way, he addresses various views and alternately critiques and commends them. Packer is at his finest here, his charitableness and finding things to praise are admirable, and to be emulated when we disagree theologically with others. The first main area of differing views is the area of “holiness” in a believer’s life. He evaluates the Reformed view, the Wesleyan view, and the Keswick/Higher Life view. This analysis is excellent, and is the first place where I’ve seen a thorough evaluation of Keswick theology (other than the e-book “Let Go and Let God?” by Andy Naselli). Another quote from the Q&A from the 1996 Desiring God Conference for Pastors, The Pastor and His Study. Iain Murray was the featured speaker, and the biography was of Martin Luther. I highly recommend the audio from the conference. Q: With regard to signs, things such as falling down and whatnot, being of relatively low importance. I hear people use the text on the counsel of Jerusalem in Acts, where Paul addresses the Jerusalem church and there’s a hush over the crowd as he talks about the signs and miracles that were done among the Gentiles. And I hear people looking to that and saying, “something’s wrong in our time.” Or at least something very, very significant is missing, when we have a situation where we’re proclaiming the gospel and these things are not happening. John or Iain I wonder if you could help me out there. Piper: I do not accept the cessationist or Warfieldian argument that there are points in history at which time only there is a great flare-up of signs and wonders. However, I do think there are seasons, for reasons, at which time there are great flare-ups. In other words, God is not limited to the apostolic era, or Elijah, or some other time – the crossing of the Red Sea – at which we have a little flare-up of miraculous things. But I think while there’s nothing I can see in the New Testament that would limit signs and wonders to the apostles, I think there’s good reason to believe that they had something extraordinary going on upon them. The drawing near of the incarnation, and the foundation of the church was unique, and therefore it doesn’t trouble me as much as it does some that the quality and prevalence of miracles in the hands of the apostles should be greater than what we have seen typically throughout church history, I would expect that, frankly, I would expect that from what I see biblically. However, from the other side, I think, probably, our low expectation of signs and wonders in the evangelistic enterprise is a self-fulfilling prophecy, it’s a self-fulfilling low expectation. If you don’t expect God to do a thing, He probably won’t do it. And therefore I would think that we probably could expect more, that we could expect some remarkable turns of events and dreams like we’re hearing about among Muslims. I read about this morning, that “the Lord bore witness with signs and wonders to the word of His grace.” The Lord witnessed to the word. Now you had the word right there being preached by an authoritative eye-witness you don’t need anything else. You don’t need signs and wonders in Acts. That’s the last place in history that you need signs and wonders is when you have eye-witnesses to the resurrection. And yet the Lord gave them. And we are a generation who don’t have eye-witnesses, and you’d think logically, we need ‘em! Well, God just thinks his own way, and if he wants to win Muslims through dreams, or if he wants to do something here through a healing. So, what I’m saying is, if somebody says to me, “ we should be seeing lots of these things, we should see the book of Acts.” I say, “well, wait, wait, wait, you don’t know that you should see the book of Acts.” The apostolic age was unique and the signs and wonders done through the hands of the apostles may not be what gifts of healings is about in 1 Corinthians 12. Gifts of healings and miracles there in 1 Corinthians 12 may be of a lower order and less powerful, and less frequent. So yes, probably we could see more, but don’t set up an ideal in Acts that you demand has to be, or the church is carnal and unbelieving. From the Q&A from the 1996 Desiring God Conference for Pastors, The Pastor and His Study. Iain Murray was the featured speaker, and the biography was of Martin Luther. I highly recommend the audio from the conference. Q: We’d love some more follow-up from you on your personal view of the Toronto Blessing. Piper: My approach toward the third wave, even though now the Vineyard has disassociated itself from Toronto, has been what I have called all the way along a critical openness. That is, I don’t rule out in principle that God is in the signs and wonders movement, or any other particular manifestation. There’s nothing biblical that I can see that would hinder God from using healing, or prophetic utterances properly understood, or tongues, or laughter or falling down to manifest outwardly something that’s happening inwardly. But, having said that, once you say what Iain Murray said, which I agree with, and what Edwards would say, is that these outward things prove nothing, and are therefore in a very low level of significance as far as what the Holy Spirit is really about in the world, namely holiness and salvation. Once you say that it seems like you pull the plug for a lot of people because you are not manifesting the proper enthusiasm for what is viewed to be such a great blessing. The reason I’m soft on this is because not only do I not see a biblical condemnation of it, but I assess movements doctrinally on the one hand and then what is being produced as far as holiness goes on the other hand. And I simply know of too many people whose lives have been profoundly helped for good by lying on the ground for 45 minutes in a kind of laughter or peace. I never have, I went over to the Apache Plaza here when the Toronto Blessing came to town, willing to expose myself to everything under the sun, just about, and had about five high-powered guys around me, praying like crazy, I’m sure, some of them wishing, “goodness I wish this guy would go down, because if he went down, then it would be all right.” And a whole bunch of my staff went down, and some of you in this room were on the floor, and attribute right now a sweet fellowship with the Lord that is continuing and an enrichment of your own ministry because of what God did spiritually at that moment, and I enjoyed that 25 minutes of prayer that they did over me, and I felt great peace, but I didn’t get dizzy, and I really, really was not saying, “I’m not going down under any cost.” I frankly, wanted to try it. What is this “carpet time” that they do, you know? So I’m very – excessively – open, some would say. My son Abraham is 16, and he read me in yesterday’s Tribune, and I said, “is this dealing with the Toronto thing?” He was reading to me out of the newspaper, he said “there’s not anything religious to it at all.” It was a psychological study on laughter movements in history. Zero religion. It talked about this laughter movement in Indonesia or something that lasted for 6 months. It has nothing to do with religion whatsoever. It was a little girl, started laughing, and there were these laughing fits that lasted in this community for 6 months. And it had no religious connection at all. So I just really find it hard to get excited about falling down or laughing. I get excited about the Lordship of Christ, and taking risks for Jesus, and bringing people to Christ, and exalting the sovereignty of God. And so the other thing besides holiness in people’s lives which I’ve seen come of this, is preaching and the exultation of the word. And I find it not very high. I’ve heard stories, “you know the preaching was good.” But the thing that thrills people is the external manifestations. I’ve watched it happen. And so the word does seem to drift more into the background and the effort it takes to produce a good message from the book, the external word, is minimized. and so those would be my concerns open and yet critically open. And so I don’t really make anybody happy, you know the cessationists – I got invited to wales a few years ago, to speak at the place where Martyn Lloyd-Jones spoke often, and when they found out I had these kinds of attitudes, they withdrew the invitation. It’s been real painful to have those experiences happen, and on the other side the people that prophesied over me over at Apache, saying, “The Lord’s hand is upon me to do this and that,” and I’m sure my lack of full bore engagement in the Pentecostal side is leaving them thinking I must be hardhearted or something. And so I just kind of walk my own way and nobody knows quite whether they can trust me or not, I think. Iain Murray: I do think the brethren in Wales were confused, because this is really, this is more or less virtually Dr. Lloyd-Jones own position, I think they were really confused on it. Piper: That’s somewhat comforting. Even the criticism I got from Iain, when I spoke on Lloyd-Jones here that I had not been completely just to him, was a grief to me because for the news to go out from this conference that Martyn Lloyd-Jones is anything other than almost a god, little “g,” would make me very sad, because I don’t have many heroes in the world, especially not many in this century, and for me to have my reputation go to Wales and elsewhere that I am mainly critical of Martyn Lloyd-Jones is sad.